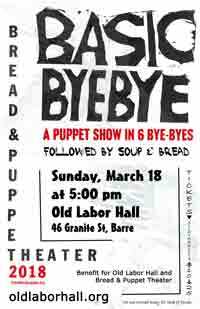 Performance at 5:00 pm followed by Bread and Puppet’s famous free sourdough rye bread with aioli and the Old Labor Hall’s delicious soup. 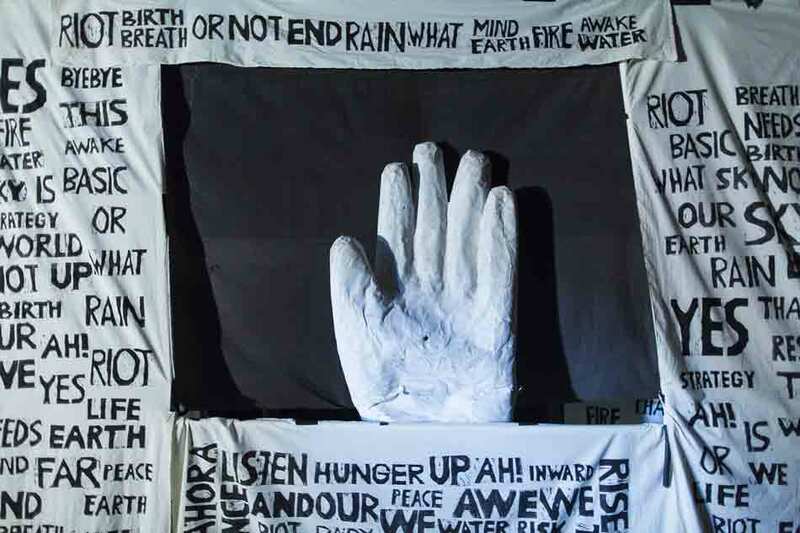 Bread & Puppet Theater returns to The Old Labor Hall with a brand new play, The Basic Bye-bye Show, a manifesto on transformation, inspired by Albrecht Dürer’s apocalyptic woodcuts, birch branches lost during an ice storm, and the daily news. In The Basic Bye-bye Show a series of quiet object fantasies unfolds in black, white, and grey inside a small fabric stage printed with elementary words — “Resist,” “Bread,” “Yes,” “Sky,” “Riot,” “Byebye.” Outside, an orchestra of nonsense instruments arises, spins, and recedes. A birch forest grows. Sculpted clouds produce hands, chairs, and rain. The storm passes. The episodes that make up The Basic Byebye Show develop in abstract counterpoint to periodic handkerchief-assisted “basic byebyes” to various brutal unnecessities of our current politics. 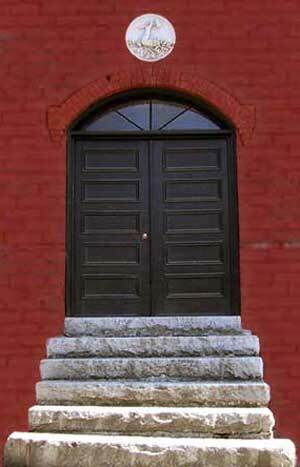 Admission: sliding scale $10-$25; no one turned away for lack of funds. Tickets available at the door. Bread and Puppet’s “Cheap Art”—books, posters, postcards, pamphlets and banners from the Bread and Puppet Press—will be available for sale. Spread the word. Click on the image to download a copy of the flyer in PDF. 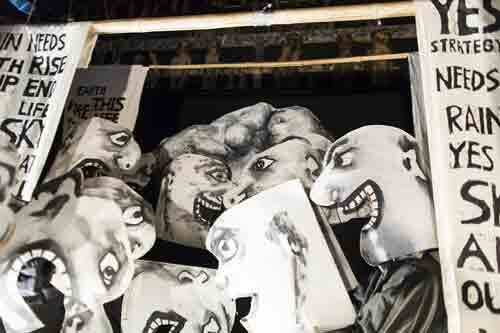 The proceeds of this event will benefit the Old Labor Hall and the Bread and Puppet Theater. Save the dates for Primo Maggio 2018 and other upcoming delights!